Nope, it’s not Gingerbread. 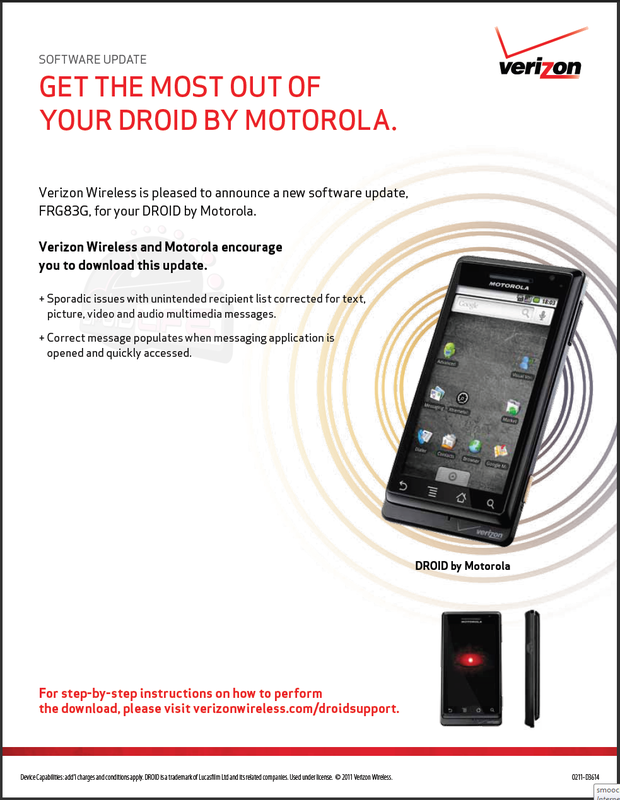 If you want to get anywhere close to Android 2.3 on your original DROID, then check out this or this. 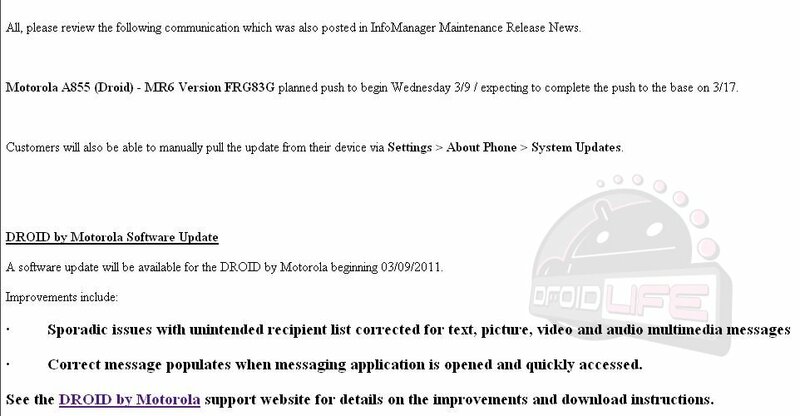 For those of you still running stock software though, an update will start rolling out today that will bring you up to FRG83G and to Android 2.2.2. This is the 3.4MB update that Motorola was testing back in January and now looks to be ready. To check to see if it’s available on your phone, head into Settings>About phone>System updates. Changes in FRG83G are below. And nice Photoshop job there Big Red. Is that Donut?